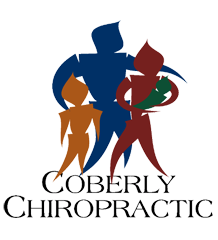 How Combining Chiropractic and Yoga Can Be Beneficial To Your Spine – Coberly Chiropractic, Inc.
Yoga has long been touted as a healing activity that extends beyond its known fitness benefits. It can help alleviate depression, relieve stress, and decrease anxiety as well as tighten and tone the body. In fact, a 2016 study by Yoga Alliance and Yoga Journal shows that the more than 20 million people who practice yoga spend in excess of $10 billion on related classes and products. Chiropractors have picked up on the benefits of yoga and are recommending it to their patients. Why? Because it helps to improve flexibility as well as spinal health. Chiropractic and the spine’s role in the body. Chiropractic is primarily intended to align the spine and balance the body. The spine is the main support for the body. It houses most of the central nervous system and provides pathways for neural impulses to move throughout the body. When the spine is out of alignment it can affect how the central nervous system functions. It can also affect flexibility and even overall mobility as well as cause pain and stiffness. Chiropractic treatment brings the spine back into alignment. It helps to balance the body and treat injuries as well as help with the changes the aging body experiences. One of the best-known uses for chiropractic is to treat pain. It is a medication free, non-invasive treatment for chronic pain, sports related injuries, and even automobile accidents. Many patients have reported finding relief with chiropractic when nothing else worked. Combining yoga with chiropractic increases the effectiveness of the treatment while strengthening the body and making it better able to respond to it. Yoga is the perfect complement to chiropractic care and many patients are discovering tremendous health benefits from this winning, healthy combination. In its purist form, yoga is an ascetic and spiritual discipline that comes from Hindu culture. It involves simple meditation, conscious breathing or breach control, and performing certain body postures. While an ancient practice long used for spiritual and emotional healing as well as physical wellness, yoga has been adopted in western culture and is widely accepted as a form of fitness as well as a therapeutic practice used for relaxation and overall good health. It focuses on inward healing for outward results. People who regularly practice yoga find they are more centered, handle stress better, and aren’t as likely to experience depression and anxiety. They also are more flexible, have better mobility, and have stronger, leaner bodies. What happens when you combine yoga and chiropractic care? Because yoga helps to lower blood pressure, decrease stress, and strengthen the body’s core, it is a perfect therapy for the chiropractic patient. While chiropractic care is working to bring the spine into alignment and balance the body, yoga is helping to strengthen the muscles surrounding the spine, providing better support. The numerous health benefits, particularly regarding blood flow and relaxation help to increase chiropractic’s effectiveness as a pain management tool. Patients who combine yoga and chiropractic will also often find that they see the effects of both treatments much faster than they would if they were only doing one or the other. Both chiropractic and yoga help with balance, flexibility, and mobility, but they come at it from somewhat different approaches. This provides a more balanced, well rounded treatment in these areas as one supports the other. Yoga also tones and tightens the body, preparing it for much deeper levels of healing, cleansing and releasing the body of tensions that may have been held for years. It also works to stretch muscles that have been restricted for years, or even for the patient’s entire life. It prepares the body to accept the full benefits of chiropractic and respond faster and more fully.